I so tooted my own horn today, then quickly wished I didn't! I've not been posting as often as I would like too and that's what I tooted about. Bah you live and learn. Anyways. I had a job interview at Torrid today and I didn't get a decent shot of what I wore, but let me tell you. I regret the button up that I wore because it gave me NO shape. All of my clothes are from when I was less than confident and wore extremely baggy clothing. Needless too say, I've been on the hunt for affordable clothes that actually don't make me look like a giant box or a slob. It's slow going since I don't get many hours from Hess.All of that aside, lets jump into what you are here for! I decided to kind of go "out of the box" and do something kind of "edgy" or what would be considered edgy for a job interview. Let me just say that I don't like these nails. They don't fit right at all. they're the KISS Short Square ones. The bottom is square instead of rounded which is kind of ridiculous, that's why my cuticles look so funky. Le sigh. Again live and learn. 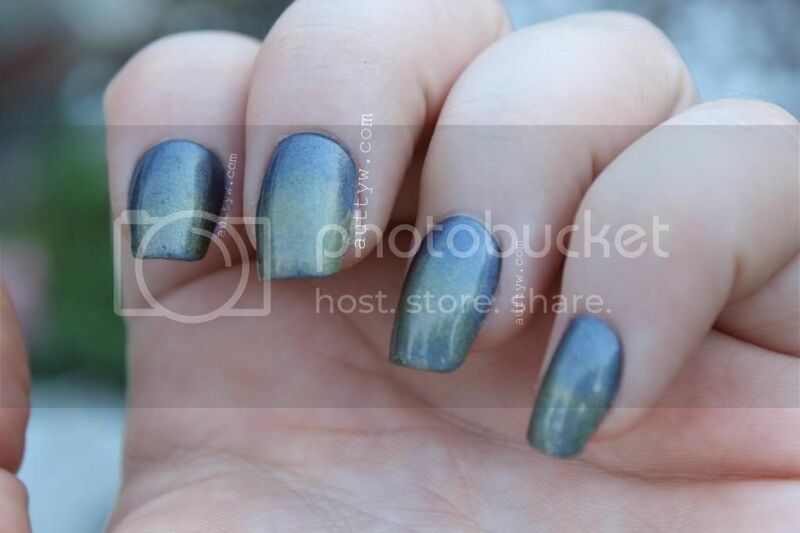 I also attempted to do a gradient which I am sure you can tell was a complete fail. For that I used China Glaze OMG A UFO. I used Rock top coat to seal the polish and too make it shine-ay which I know we all love. It looks okay but it's something I'm not impressed with. I would have redone them completely if this was already the second time trying too do them. What do you think?! 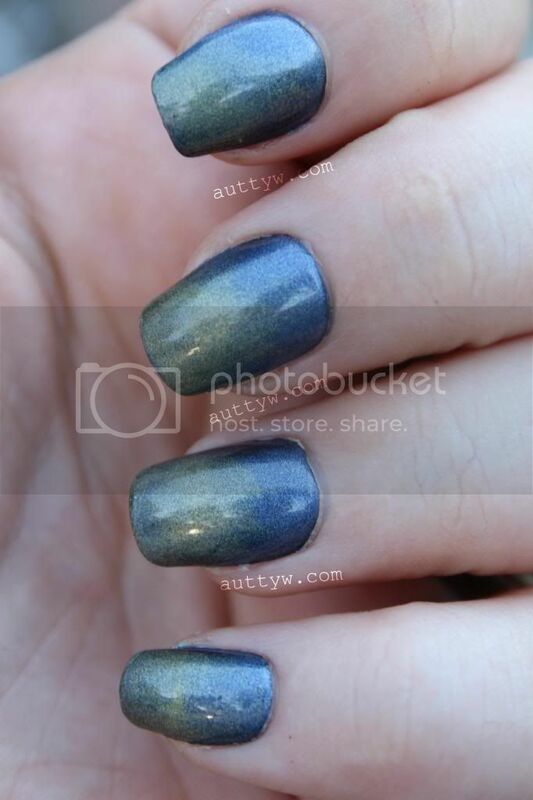 Nice edgy color that you wore for the interview! Thank you! I don't even think they noticed lol. I hoe your interview went well, nails look amazing! Thank you love! xoxo I think it went okay. I hope your interview went well!! I love the colors you used in this gradient, I think it looks awesome. I agree that the nail shape is odd at the base...I'm kind of a fake nail newbie though so I can't recommend anything else, LOL! The other Kiss nails that I wore (the longer ones a couple of posts back) were just fine. They fit fine and everything. I think it may just be these ones. I'm going to get a new set and see how it goes. Or at least LOOK at them pretty hard before I purchase! :P I think it went okay. I'm kind of iffy right now though! Thank you! I really love the color as well, I'm thinking of trying it again with the yellow as the base. Thank you love! I'm probably just being too hard on myself about it! :P It went okay for my standards. Probably could have gone better.